Saving time is just the beginning of the benefits of using precision end trimmed materials. When you work with National Lumber you also have access to additional services available from our family of companies. Our manufacturing division, Reliable Truss, does precision end trim cutting plus offers cost-saving options such as prefabricated wall panels, floor panels, and roof trusses. We can cut all types of lumber when bulk quantities are required. 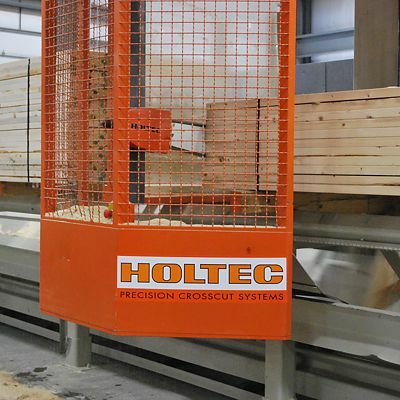 Full lifts up to 60 foot lengths can be cut with the HOLTEC. HOLTEC Precision Crosscut Systems will cut your lumber with more accuracy and a smoother finish than any other cut-off system available. Materials are cut to plan specifications to 1 millimeter precision. For precision tolerance needs, the "V" series cutting assembly comes equipped with HOLTEC's exclusive Scratcher® chain technology and HOLTEC Double Stellite® Guide Bar assembly, both of which are designed to maintain a precision of +/- 1mm (.040") on every cut and unlike conventional chain saw chains, which tend to chip, tear and splinter limber, Scratcher® chains leave a planer finish on your lumber. We cut truss components, I-Joists, stair stringers, rafters, and wall panel components using state-of-the-art equipment. 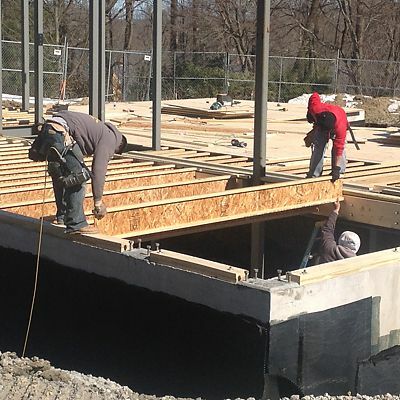 Precision end trim floor joists can be cut on the CNC machine to 1 millimeter precision; I-joists up to 18 inches depth. Each joist is inkjet labeled and placement plans are included. 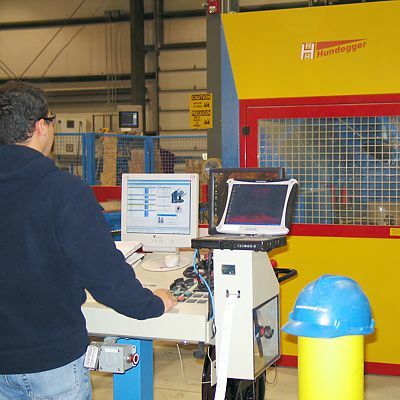 Hundegger is the most versatile CNC automated component saw available. 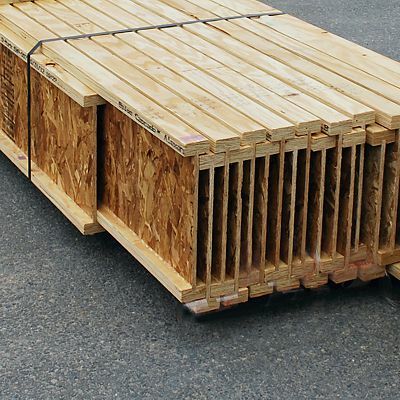 They are considered universally the most flexible machines used in wood construction; from wood truss components to engineered wood products, and more. If you need framing lumber cut to uniform size, our PET service will save you labor and waste on the jobsite. With precision-cut floor framing packages, like the one shown above, each piece is precision end trimmed to fit exactly in each location. Imagine the time you'll save over figuring it out yourself on the jobsite and having to cut each I-joist individually. Once you've used our system, you won't want to go back to the old way. When I-joists are precision end trimmed they are bundled for delivery. This is also environmentally friendly, since it eliminates waste on the jobsite. That saves you money on waste removal costs. 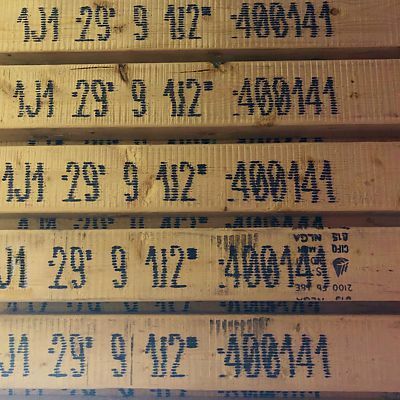 If the floor system has been engineered by National Lumber, each precision end trimmed I-joist has a position number inkjet printed on each individual I-joist. A color coded installation plan is included.